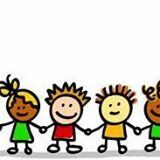 Come join a ‘run by mums’ playgroup on Mondays 10-12 in the Horley School hall, its held during term time on Mondays from 10 to 11.45. Only £1.50 for the first child, additional children are 50p, and you only pay for children over 12 months. Contact – Natalie King 07852218815 or Email Nataliepoo79@hotmail.com for more information, or just come along. This entry was posted in Activities and tagged Playgroup, The Old School on January 7, 2016 by thehorleyviews.